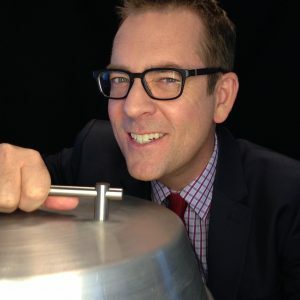 The Global Family Reunion is thrilled to announce that Ted Allen will be a speaker at the main event in New York City on June 6, 2015. 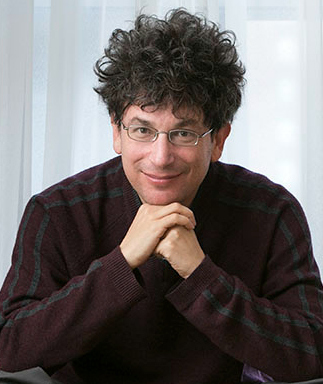 Ted is a writer, cookbook author, and television personality. 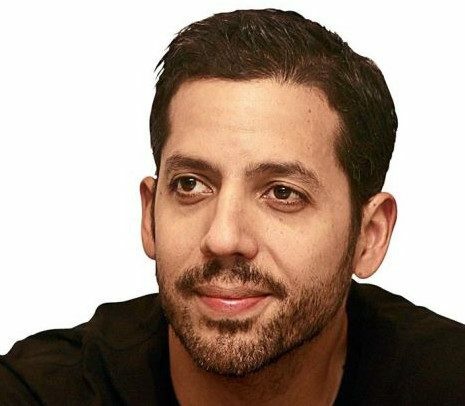 He was the food and wine connoisseur on Queer Eye and has been the host of the TV cooking competition series Chopped since its launch in 2009. As of April 13, 2014, he is also the host of another Food Network show, All-Star Academy, which debuted on March 1, 2015. 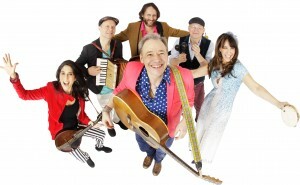 In early 2015, he also hosted a four-part special, Best. Ever., which scoured the country for its best burgers, pizza, breakfast, and barbecue. He is a longtime contributing writer to Esquire magazine, the author of two cookbooks, and regularly appears on the Food Network show The Best Thing I Ever Ate and other television cooking shows. Ted is (distantly) related to Global Family Reunion founder A.J. Jacobs. (To be specific, he is A.J. Jacobs’ aunt’s ex-husband’s fourth cousin five times removed’s husband’s fourth great nephew’s husband.). He will be speaking about food and family. The Global Family Reunion will take place June 6, 2015, and aims to be the biggest, most inclusive and most entertaining family reunion in history. Everyone is invited. It will include presentations by celebrities, genealogists, and famous scientists, music, comedy, games, interactive exhibits and food. The main event will be held on the grounds of the world’s fair in New York, but there will be simultaneous parties around the world. All proceeds from the New York event will go toward Alzheimer’s Disease research and care. Early bird tickets are available now. It’s also a benefit to raise money for Alzheimer’s disease. When you purchase any of the Global Family Reunion campaign perks on IndieGoGo, you can feel good knowing that all proceeds — after covering the costs of the event — go toward battling Alzheimer’s. The Alzheimer’s Association New York City and the Cure Alzheimer’s Fund are the official beneficiaries. The event’s founder, author A.J. Jacobs, watched his grandfather succumb to dementia, and this inspired A.J. to make the reunion about keeping family memories alive. –Signed copies of A.J.’s upcoming book about the quest to unite the world with DNA and family trees. –A.J. will even dedicate the book to the first person who donates $10,000 to the Alzheimer’s benefit. (His wife will understand). And the big hope is, once we see that all humans are, in fact, part of the same family, we’ll treat each other with a little more kindness. As cousin John Lennon said, you may call us dreamers, but we’re not the only ones. The Global Family Reunion is thrilled to announce that Bennett Greenspan will be a speaker at the main event in New York City on June 6, 2015. Mr. Greenspan is a remarkable entrepreneur, best known for his pioneering work in genetic genealogy, and as the founder of Family Tree DNA, the first American company to offer genealogical DNA testing directly to the general public. Currently the president, CEO and managing partner of Family Tree DNA’s parent company Gene by Gene, Mr. Greenspan is also the project administrator of several surname DNA projects, and regularly lectures on the use of genetics in genealogy. Mr. Greenspan is (distantly) related to Global Family Reunion founder A.J. Jacobs. (To be specific, he is AJ’s second great aunt’s great uncle’s wife’s brother’s wife’s sister’s husband’s brother’s wife’s niece’s husband’s brother’s wife’s second cousin once removed.). The Global Family Reunion will take place June 6, 2015, and aims to be the biggest, most inclusive and most entertaining family reunion in history. Everyone is invited. It will include presentations by celebrities, genealogists, and famous scientists, music, comedy, games, interactive exhibits and food. The main event will be held on the grounds of the world’s fair in New York, but there will be simultaneous parties around the world. All proceeds from the New York event will go toward Alzheimer’s Disease research and care. 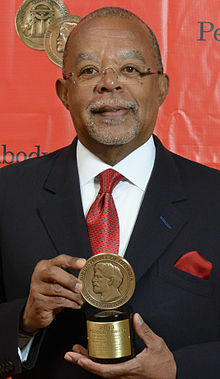 The Global Family Reunion is delighted to announce that Dr. Henry Louis Gates, Jr. will be a speaker at the main event in New York City on June 6, 2015. Dr. Gates has created 13 documentaries, authored 16 books, written innumerable articles and is a literary scholar, filmmaker, journalist and cultural critic. He is the Alphonse Fletcher University Professor and Director of the Hutchins Center for African & African American Research at Harvard University. He serves as editor-in-chief of TheRoot.com while also overseeing the Oxford African American Studies Center, the first comprehensive scholarly online resource in the field. He’s hosted several PBS mini-series and his six-part PBS documentary series, “The African Americans: Many Rivers to Cross”, that traces 500 years of African-American history, earned multiple awards. 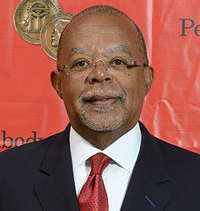 Season two of his genealogical series “Finding Your Roots” is currently airing on PBS. Dr. Gates has been the recipient of 53 honorary degrees and numerous academic and social action awards. 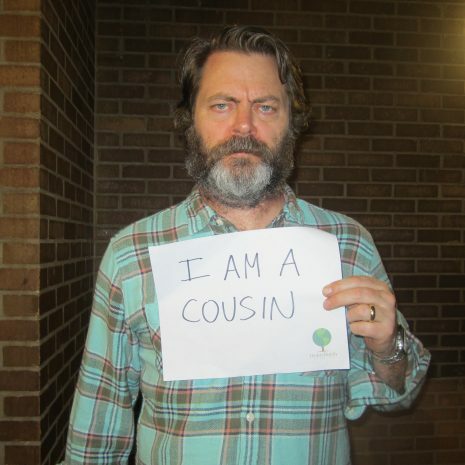 He is (distantly) related to Global Family Reunion founder A.J. Jacobs. (To be specific, he is A.J.’s aunt’s husband’s fourth great aunt’s husband’s first cousin thrice removed’s husband’s step-daughter’s second great granddaughter’s husband’s second great nephew). 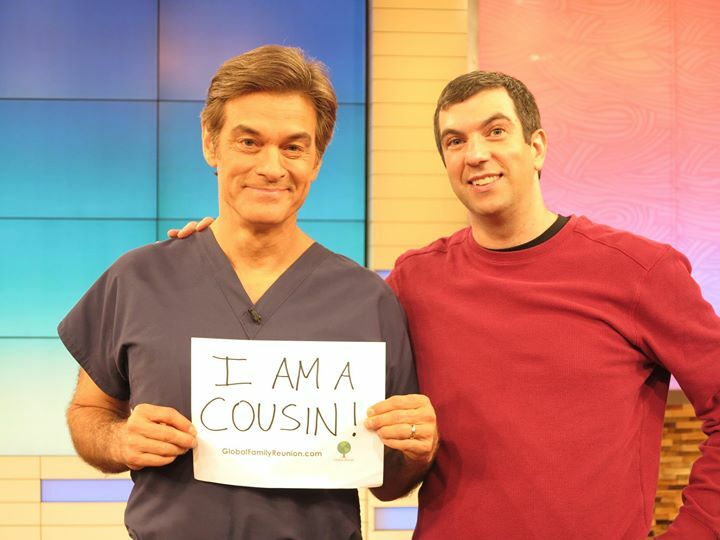 The Global Family Reunion is thrilled to announce that Dr. Mehmet Oz will be a key speaker at our event in New York City in June 2015. 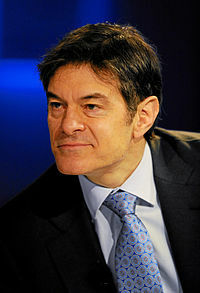 Dr. Oz is a renowned heart surgeon and host of The Dr. Oz Show, which debuted in 2009 and went on to win three consecutive Emmy Awards. In addition to hosting the TV show, Oz continues to serve as vice-chairman and professor of surgery at the Columbia University College of Physicians & Surgeons. He also branched out into a new form of media in 2014 with the launch his own lifestyle magazine. AJ will appear on Dr. Oz’s show tomorrow, Friday, November 14th, to talk about the Global Family Reunion and the importance of family history to your health. Dr. Mehmet Oz is A.J.’s’ aunt’s ex-husband’s fourth great aunt’s husband’s aunt’s husband’s fifth great nephew’s wife’s first cousin’s husband’s second cousin’s husband. The Global Family Reunion will take place June 6, 2015, and aims to be the biggest, most inclusive and most entertaining family reunion in history. Everyone is invited. It will include presentations by celebrities, genealogists, and famous scientists, music, comedy, games, interactive exhibits and food. The main event will be held on the grounds of the world’s fair in New York, but there will be simultaneous parties around the world. The Global Family Reunion was founded by author A.J. Jacobs, who became fascinated with the idea that every person on Earth is related to every other after entering his name in several genealogy websites and finding he was connected to people all over the globe. “Once we realize we’re all related,” he says, “we can solve the big problems, like Alzheimer’s”. He is using the event to collect donations, which will be distributed to Cure Alzheimer’s Fund and the Alzheimer’s Association NYC Chapter. The Global Family Reunion will be the topic of Jacobs’ next book and the subject of a documentary by Morgan Spurlock (Supersize Me). Among those participating are actor Daniel Radcliffe, President George H.W. Bush and comedian Nick Kroll. 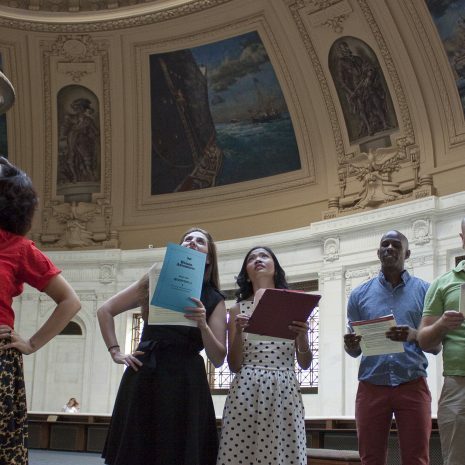 The event has already been featured in the New York Times, People Magazine, NPR and Good Morning America. If you are interested in attending, please see our event website for more information. Plus, take a few minutes and watch Jacobs’TED talk The world’s largest family reunion…we’re all invited! October 17, 2014 – Austin, TX. The Federation of Genealogical Societies (FGS) and the Global Family Reunion announced today their partnership for the largest family reunion in history to be held June 6, 2015 on the site of the legendary 1964 New York’s World Fair to benefit Alzheimer’s research, education, and training. FGS will facilitate the organization of Global Family Reunion branch parties at many of its member societies across the United States and around the world. Brainchild of best-selling author and three-time TED talk speaker, A.J. Jacobs, the Global Family Reunion will host the event in New York. It will include talks, family history exhibits, the world’s largest family photo, other family reunion activities as well as live-streaming to branch parties located all over the world. The talks and presentations will feature a wide range of fascinating experts and entertainers including Academy Award-nominated director of Supersize Me Morgan Spurlock, the 41st President of the United States George H.W. Bush (via video), Peabody Award-winning correspondent Scott Simon, leading population geneticist and director of National Geographic’s Genographic Project Spencer Wells, and Federation of Genealogical Societies President D. Joshua Taylor. The Global Family Reunion is an event conceived by bestselling author A.J. Jacobs. It will include presentations by celebrities, genealogists, and famous scientists, music, comedy, games, interactive exhibits and food. Jacobs became fascinated with the idea that every person on Earth is related to every other after entering his name in several genealogy websites and finding he was connected to people all over the globe. “Once we realize we’re all related,” he says, “we can solve the big problems, like Alzheimer’s”. He is using the event to collect donations, which will be distributed to Cure Alzheimer’s Fund and the Alzheimer’s Association NYC Chapter. The Global Family Reunion will be the topic of Jacobs’ next book and the subject of a documentary by Morgan Spurlock (Supersize Me). 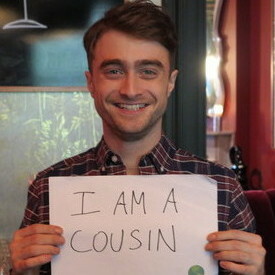 Among those participating are actor Daniel Radcliffe, President George H.W. Bush and comedian Nick Kroll. The event has already been featured in the New York Times, People Magazine, NPR and Good Morning America. If you are interested in attending, please see the event website at globalfamilyreunion.com for more information. Plus, take a few minutes and watch Jacobs’ TED talk The world’s largest family reunion…we’re all invited!